I am sure that there are certain situations and circumstances in your life that you would like to change. Often, it is quite simple to make changes, but we let laziness, procrastination or fear to stand in our way. You might be surprised to hear that many of the changes you would like to make are within you reach, and often, within your immediate reach. For example, you might always complain that you have no time to read. If reading is so important to you, what’s so difficult to arrange your day so that you can find the time? You can always get up half an hour earlier in the morning, or give up half an hour of watching TV in favor of reading a book. Do you want to learn a foreign language, swim twice a week or arrange your wardrobe? These are simple to accomplish goals, but you might always seek excuses why you don’t have the time for them. You simply do not give them any priority, and prefer to stick to your comfort zone. Sometimes, we might encounter situations and circumstances that we are unable change. What should we deal with such situations? If you cannot change a situation, accept it, and learn to live with it. Sure, this requires a certain degree of self-discipline and inner strength. You might complain, resent the situation and the people involved and be unhappy. This would not help change the situation, and you will be creating suffering and unhappiness for you. You cannot always change a situation or circumstances, but you can change your attitude toward it. Changing external situations and circumstances might not always be possible, but changing your attitude is possible. Read this sentence several times and try to remember it. You cannot always change situations and circumstances, but you can certainly learn to change your attitude. Instead of feeling resentful, frustrated and unhappy, you can learn to be calm, accept the situation, and not fight with it. You can try to look at the situation dispassionately, and try to find out what you can learn from it. Are there people you cannot get along with at work? Do you have neighbors you do not like? Is your boss too demanding? Will you leave your job or go live somewhere else because of that? Often, by accepting the situation, it will stop bothering you, or a solution might come along. Various situations and circumstances could be lessons you need to learn, and after learning and acknowledging the lessons, the situations and circumstances will start to change. If you accept what you cannot change and learn to live with it, it will stop to be an issue and stop to bother it. When you accept what you cannot change, you save yourself a lot of energy and time, and can devote your time to better things than thinking about the situation you cannot change. When you accept what you cannot change, sometimes, even without any effort on your part, as if miraculously, things start to change and improve. Some people might misinterpret what I said and think that accepting situations means giving up. Others might regard acceptance as an excuse for laziness and doing nothing. This is far from the truth. Acceptance of situations that you cannot change is wisdom and not passivity, and has nothing with giving up and should not be an excuse for passivity. You cannot change the past, and regretting and feeling bad about it is not going to change it. However, you can learn to stop dwelling on the past and move on. If you don’t like one of your colleagues at work and you do not get along with him, anger and resentment would not help. However, you can try to be friendly and stop being resentful. Suppose it is raining outside, but you need to go to work, go the grocery or meet friends. You cannot stop the train and you cannot fight the rain. Would you give up and stay at home, or wear a raincoat and go outside despite rain? If it is very hot outside and you need to go somewhere, will anger and unhappiness change the weather? You can let thoughts about the weather to cause you suffering and unhappiness, and you can accept it and live with it. When you change your attitude toward people, situations or circumstances they stop bothering you and they stop causing you suffering. When you change your attitude, you start to feel better, you become happier, recognize opportunities to make changes, and on many occasions, the situations or circumstances you could not change, begin to change. By changing your attitude, situations and circumstances would start to change, as if by magic. 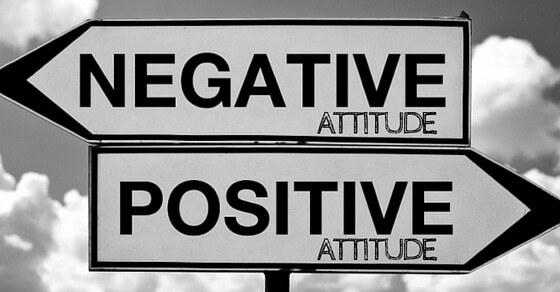 Are there any tools that can help you change your attitude? Yes, there are a few, such as repeating affirmations, practicing visualization and developing inner peace.